Arabtec is responsible for the construction of the public realm in concourses and arrivals plazas at the site. 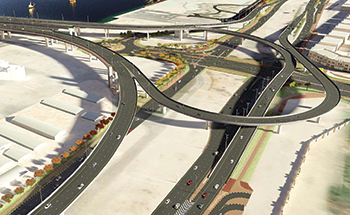 Arabtec Holding, a leading engineering and construction group, said one of its subsidiaries, Arabtec Construction has won a Dh311-million ($84.6 million) contract from Expo 2020 Dubai for the construction of the public realm in concourses and arrivals plazas at the mega project site. The scope of work includes construction of 268,000 sq m of public concourses including public entrance plazas, landscaping, lighting water features, irrigation, landscape structures and furniture. Arabtec is likely to start the work this month and complete it in the last quarter of 2019.